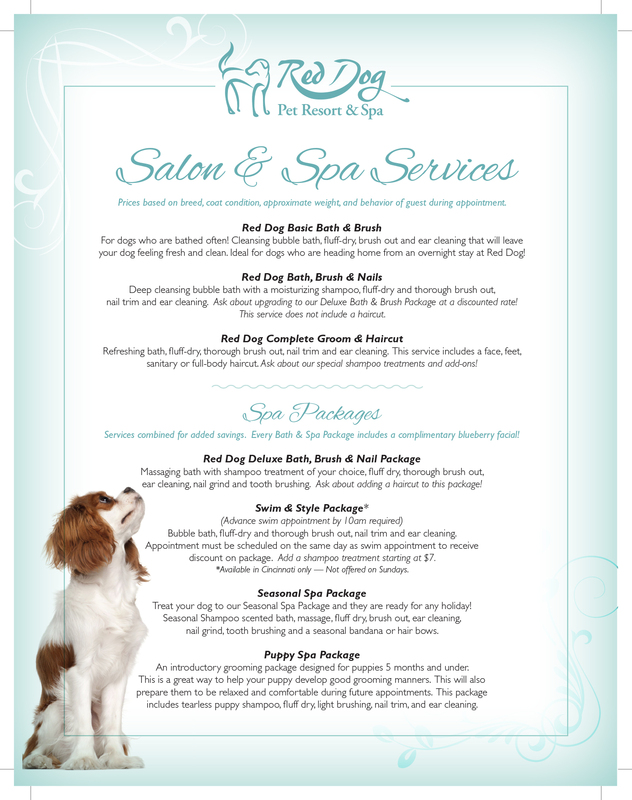 Red Dog Pet Resort & Spa is excited to offer the latest in state-of-the-art professional pet styling technology in our Salon & Spa. 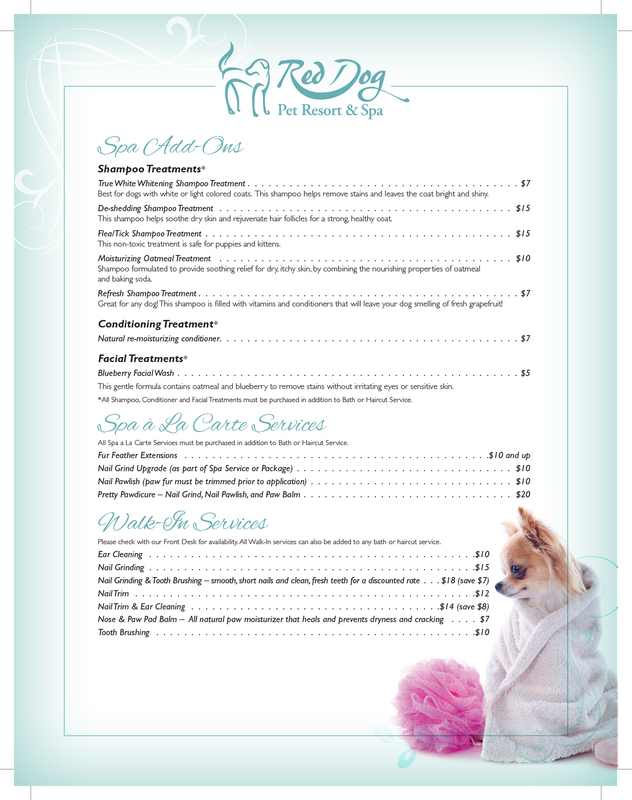 Our professional stylists offer the latest in hairdos and treatments for both canine and feline guests. All styling prices are based on breed type, length of time for styling, approximate weight, and behavior of guest during process. Our stylists can offer a free estimate of services, but final price can only be determined after the completion of services. Our stylists work with you to customize a schedule for bathing and styling, an essential part of the health and well-being of our guests.